Of all the posts that I will put on this blog, this one will be one of my most personal. Once my blog starts to take more shape, I’ll have more of an idea what goes where. But for now, I’m gonna put it on Spiritual Sunday. Most people associate “spirituality” with “religion”. In their minds, you can’t have one without the other…but that’s not quite true. Spirituality existed long before organized religion (see last week’s Spiritual Sunday post on Omnism). Truth is, you don’t have to believe in something concrete to believe there is a higher power. Or rather, an organization of energy that connects everything. I like to think of whatever is out there (or up there- depends on how you look at it) as something that is both here and there. And we exist within it…we are it. So I think, from birth to death, everything is just a shift in an energy field- an everflowing energy field that drives all activity in the universe. I could ramble on forever, but I’d basically be saying the same thing in different words. So I hope you get the gist of what I’m trying to say (lol). Anyway, what does all of this have to do with mental health? Well, I think that whatever you believe, resistance to what is meant to happen (or how things are meant to work) is what really causes you stress in your life. Forcing things, working too hard, unmet expectations (major relationship killer right there), trying to change people…all of these things contribute to turmoil and dysfunction in your life. Some of these things can be helped; you can stop by sheer willpower. But some things will be a little harder to tackle. Your subconscious mind becomes programmed with the things that you learn growing up. It’s inevitable and unavoidable. As a friend of mine once said, “You sit in a coffee shop long enough, you’re gonna come out smelling like coffee”. There’s no use denying it. Chances are if more than one person tells you that you smell like coffee, then you gotta face it- your clothes wreak and it’s time to change them. But simply washing them ain’t gonna help. Oh, no…you gotta throw them thangs out and take a shopping trip. That’s what it’s like to throw out an old way of thinking and adopt a new one. The spiritual connection I was talking about earlier is at the center of it all. It’s not necessarily something that’s dependent on one creed or another (although if you identify well with one, then go for it). It’s broader, but also simpler: a relationship with your inner self on a deep level. Being more connected to this inner self helps you become more connected with what comes to you naturally. It’s becoming more in tune with your instincts and following them in a healthy way, rather than ignoring them. We are animals, after all, and we are all born with a very healthy, very receptive set of instincts. But sometimes, the noise of the world gets in the way of that. It can exacerbate stress on the mind. You’ve probably guessed it by now, but I’ll go ahead and say it: I see a therapist for depression and anxiety. Sometimes things are situational. But some things are a result of a subconscious reaction. The initial reaction is something pretty par for the course (talking about the feeling of tension that starts in your chest when something not-so-great happens). But from there, it gets a little out of control. Things that might be slightly annoying to someone for about 30 minutes? I tend to obsess over it for hours at a time until I react in a way that doesn’t serve me OR anyone else. And it’s pretty damn ugly. That’s the mental illness. It’s the part of my subconscious brain that I’m always going to have to keep in check…because it’s not conscious. It’s subconscious. No amount of willpower or surveillance on my part is gonna get rid of that. I’m not using this as an excuse to behave badly…or excuse anyone else for behaving badly. Quite the contrary. I’m taking this opportunity to say take some responsibility and get some help. You may not have the best control over your feelings, but it’s nobody else’s responsibility to manage your mind but yours. Might have to swallow your pride and have someone tell you what’s healthy and what’s not so you can start working on that. And I’m not saying this as someone who’s trying to be judgmental. I’m saying this as someone who has been through it, is going through it, and has had to do a lot of introspective work recently. I don’t always like what I see, but it has to be done. Because I can’t change people around me, but I can work on how I react to them. So whatever the problem is, you can start arming yourself with some tools. I’ve been lucky, because I found someone who’s interested in helping me heal the way I want to heal. 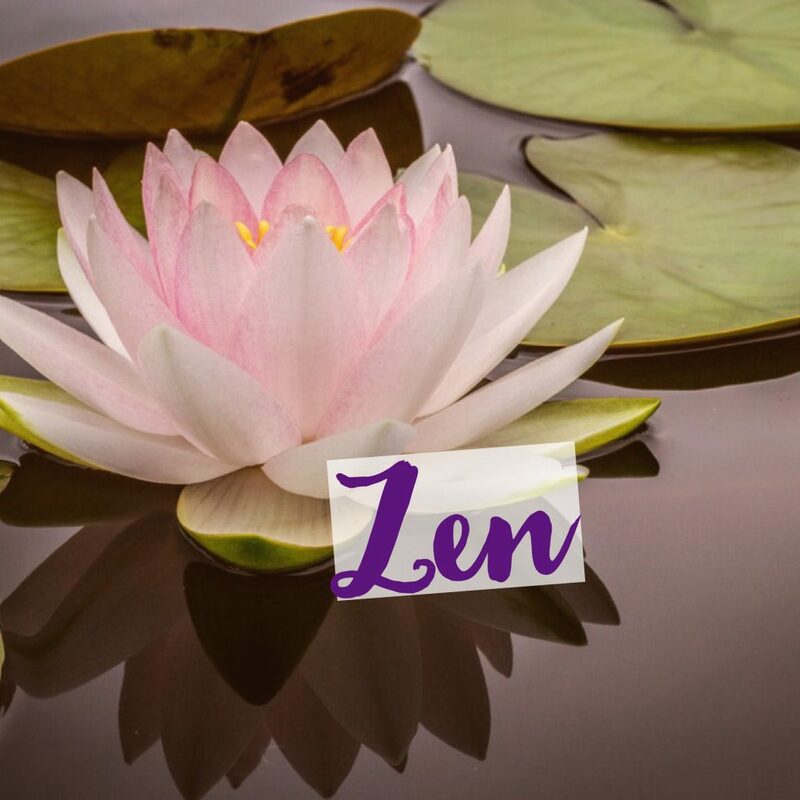 I do yoga, I meditate, I read lots of spiritual healing books…then I come into my session, talk about what I’ve learned and how to apply those things to my life. The work I do with my counselor reflects and embraces what I value at home. We do breathing exercises, talk about holistic health…it’s great. And I’m not perfect….SO far from it. But I’m ok with that. My goal is to not take my imperfections out on my loved ones. Not their imperfections, not their problem. As understanding as they are, they can only be supportive. And they deserve my best effort. So if you think you’re like me- your mind races over what to say, how to say it (and when), and then you bring yourself down when you get it wrong- you should probably start trying your luck with a mental health professional. 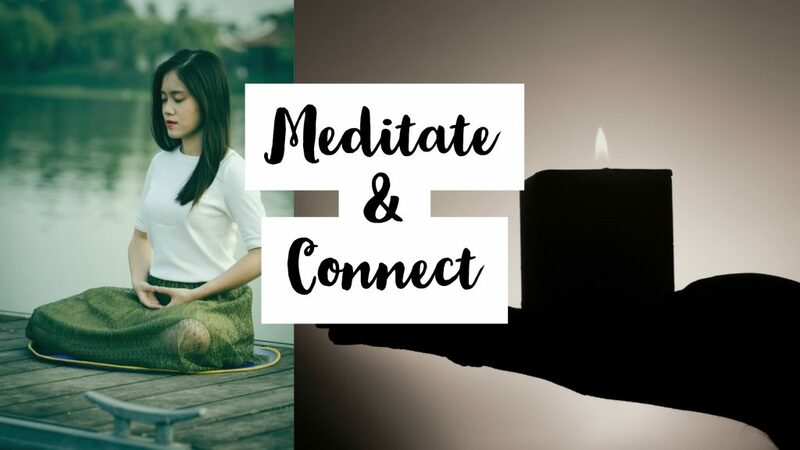 I’ve heard different things about this in the spiritual community, but my ultimate thought is that one-on-one therapy can strengthen your relationship with your higher self, if you let it. For one thing, it leaves the analyzing to someone else. Trying to fix what’s ingrained in your subconscious mind with conscious thought doesn’t really work. Basically, if you’re thinking hard about it, you’re not “reprogramming” anything. You’re just thinking really hard. Getting the thoughts out of your head for someone else to mull over can really clear your mind for other things. Once that’s done, they can tell you in very simple, objective responses if your thoughts/actions are serving or not serving you. And as professionals, they’ve built a career on studying how and why the brain responds the way it does. So I think it’s safe to say that their opinions on what is healthy and what isn’t are pretty valid. So the bad news is it’s all in your head. But the good news is that it’s all in your head. You have the power to improve yourself. All it takes is acceptance: acceptance of yourself exactly as you are and then an intention to improve. I know…it sounds a little confusing. But it’s all about action through inaction. Trying something new by not trying at all. Taking time to breathe and let things sit instead of actively trying to change them. Through acceptance, you find improvement and peace. And whatever you believe, you’ll start to recognize things start falling into place, little by little, for the better. 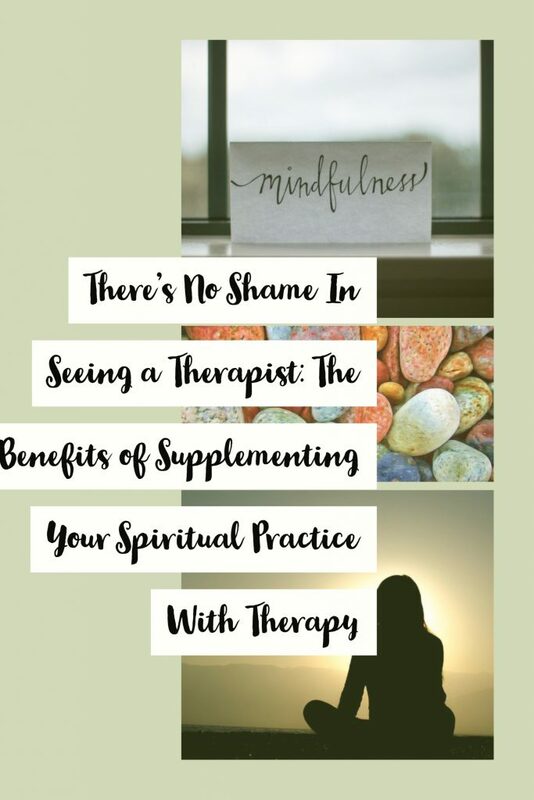 Checking in with a therapist is like talking to the mind outside of your mind. The most important thing is to get these things out of your own mind and into one that’s objective and clear. From there, meditating on a newly cleared mind can really help bring balance to an otherwise chaotic life. How have you started finding your peace? Let me know down in the comments below!